We completely get why P!nk’s moving speech for her daughter at the VMAs went viral. At 6 years old, no child should be questioning whether or not they’re pretty, or smart, or good enough. And yet, so many little children do. From the research conducted by Dario Cvencek, Andrew N. Meltzoff and Anthony G. Greenwald, it was revealed that children develop a sense of self-esteem from as early as 5 years old. This means that parents need to be aware of their children possibly feeling bad about themselves and who they are before they even enter primary school and are exposed to a whole new set of challenges that come with their new environment, including but not limited to peer-pressure and bullying. Also read: Help, my child is being emotionally bullied! But it’s so inspiring to see that parents are doing the most in lifting their children, encouraging body positivity and allowing children to be whoever they want to be, and so much so that they can stand up for themselves. But not all children are quick to respond to a discouraging comment on the way they carry themselves or the way they look. Read more about Dario Cvencek, Andrew N. Meltzoff and Anthony G. Greenwald's research: When do children show evidence of self-esteem? Making these comparisons can often affect a child’s social-emotional development and can therefore prove to be quite damaging to them in the long run. 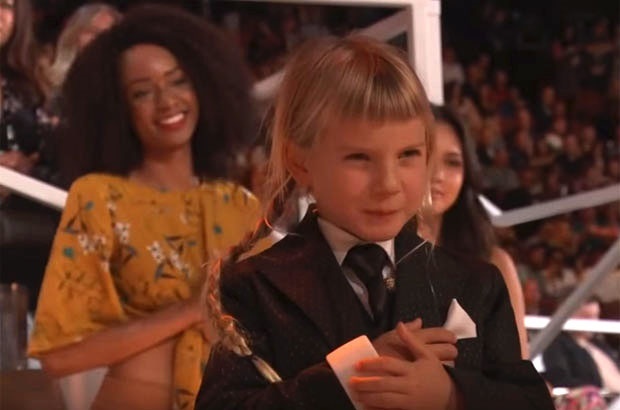 In P!nk’s speech, she admits that she was understandably angry at the fact that her daughter thought that because she looked like “a boy with long hair”, she wasn’t beautiful. But as any brilliant parent would, of course, she went home and made a presentation of rockstars and artists who didn’t care about changing who they were for the rest of the world. Artists like Prince, Freddie Mercury and Michael Jackson who were “probably made fun of every day of their life”, were so unapologetically themselves - a lesson that we should perhaps all learn from. She told her daughter that even though she's a literal rockstar, people make fun of her as well, and when they do they describe her in the exact same way as being “too masculine” and saying that she too looks like a boy. P!nk walked off stage with the 2017 Michael Jackson Video Vanguard Award that evening. It's basically a huge honour - kind of like a lifetime achievement award. But I feel as though they should’ve given her something more, something bigger. Or at least handed her a parenting award right then and there. Has your child similarly felt as though they weren't good enough? How did you handle the situation and do you have any tips for the Parent24 readers that you'd like to share? Tell us by emailing to chatback@parent24.com.